Study abroad at UTP grants you a wonderful opportunity to steep yourself in a country rich with culture, history and beauty. The International Affairs Office at UTP offers international students all the support for their mobility at UTP. Our mission is creating links for communication and collaboration with students and academics all around the world and ensuring a fruitful experience. . Although UTP students are dedicated, focused on their studies, and with low experience abroad, they are easy going and open to communicate and work with exchange students. They also participate in campus extracurricular activities such as sports, dance groups, and culture, in general. 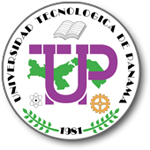 UTP has five research centers with a vast and dynamic activity in applied research in various areas of engineering in Panama. Also there are research groups within each School at UTP. Find out about which of these options fits you best and come have a research experience in Panama.. This Office offers students with a number of extracurricular activities and services for students, including sports (softball, football, flag football, ping pong, chess), dance groups, folklore, theatre, music orchestra, chorus, and social service.